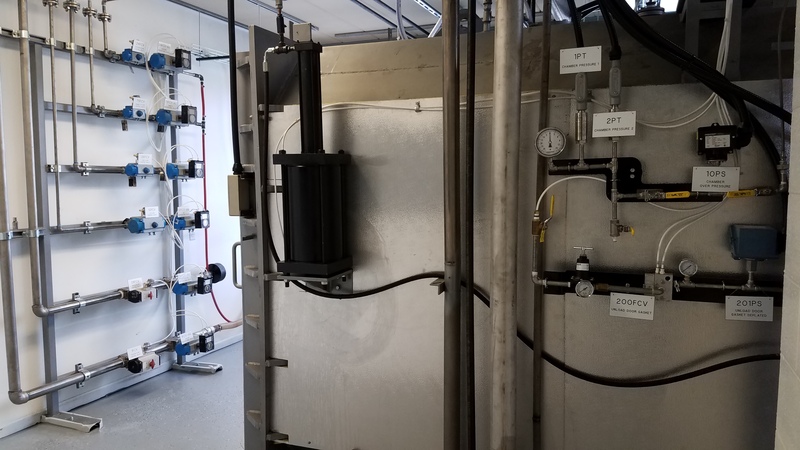 This is a purpose built facility containing a fully functioning 1-pallet Ethylene Oxide Sterilizer (inert gas to simulate EtO) with all of the ancillary equipment typical for commercial sterilization. 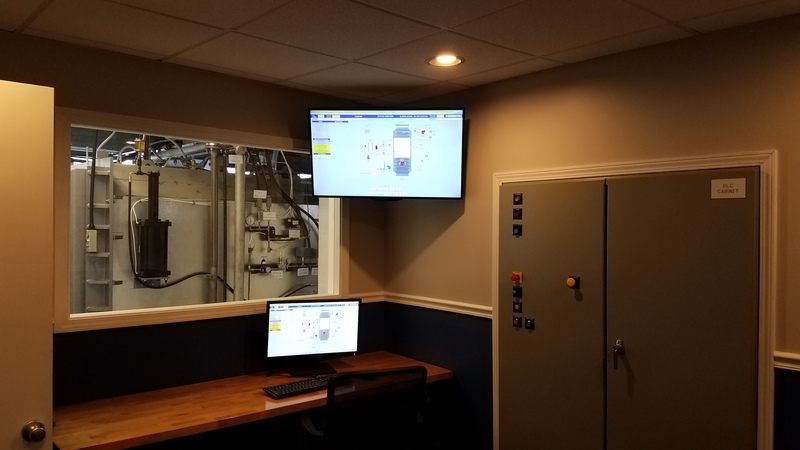 Adjacent to the sterilization chamber is a control room that is uncompromising in its efforts to create an environment where our customers are as comfortable and productive as possible throughout the course of their training experience. 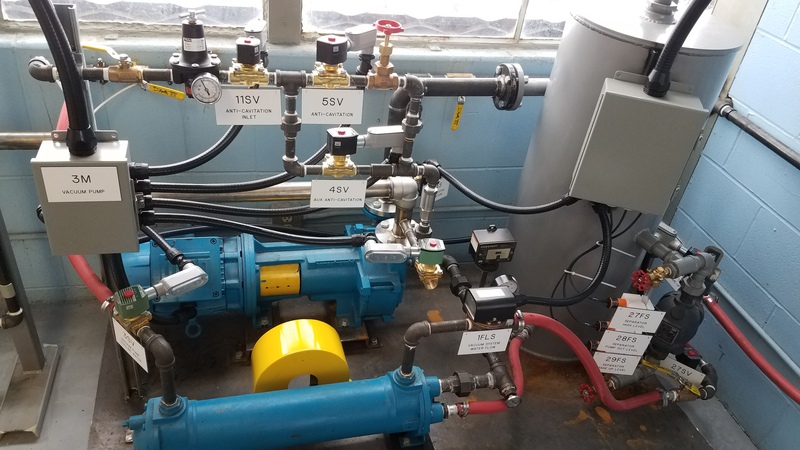 In addition to extra seating and a large overhead HMI to accommodate additional students, all of the critical control elements (power, intrinsically safe and pneumatic panels) that are covered during the course are built right into the control room. Safety – from the moment EtO is released from the drum to the last moment EtO is evacuated from the chamber, the safety of our customers, their employees, their facilities and their product is of the utmost importance. Both the chemical and biological hazards associated with the use of EtO are well known and there is no better safeguard against undue risk than thorough, hands-on, immersive training on the actual equipment in the controlled, risk free environment of our facility. 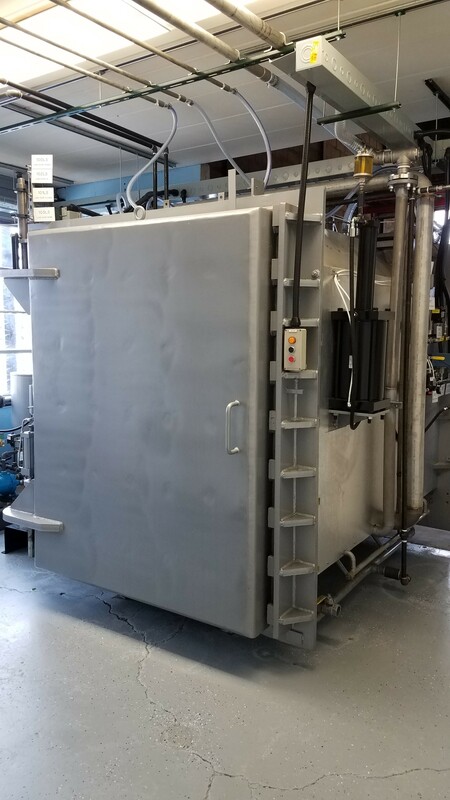 Capability – At the point where customers begin to use our equipment, they want every possible assurance that they are maintaining the prescribed/validated cycle that ensures sterility of their product, i.e. they want to know they have a capable process. Although we have every confidence that our equipment will do just that, that assertion is predicated on the fact that the equipment is being properly operated. 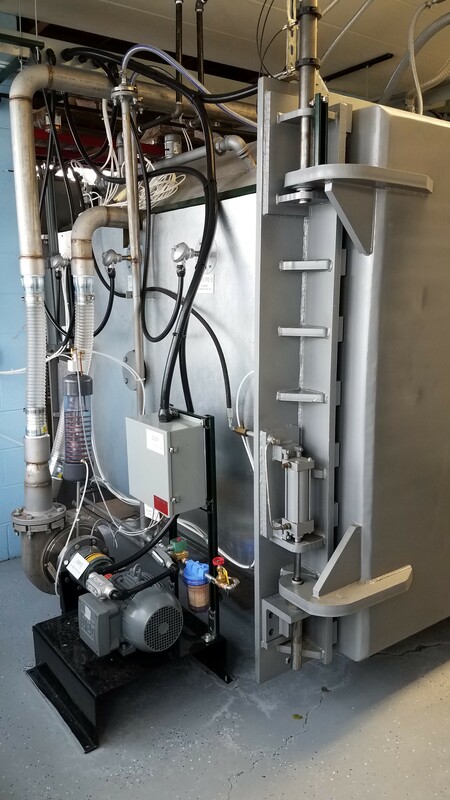 Again the value of having accumulated experience operating a sterilizer before our customers’ product and business interests are at risk, is invaluable. Long before the point where there is real product and real capacity being committed, they have built, completed and verified cycles in the safe, low risk, security of our training facility. Security – Of no small consequence to our customer is the security of their business interests and their sterilizer throughput from continuous, constant and reliable operation. It is not likely the best use of capital dollars and facilities’ capacity to use their equipment as a real time training platform. That’s why we at Vacudyne feel that each hour of training and operation in our facility is of immeasurable value to the security of our customers’ overall business interests. System Description/Theory of Operation – All of the major sub-systems of the sterilizer, their major components, the theory of operation and basic maintenance procedures will be covered. Cycle Building – Review of the “Cycle Building Rules” and how the software ensures the construction of safe cycles followed by the particulars of building actual cycles. Operation – How the operator interface with the control during a cycle, what information is available and what options are available to the operator. User Management - Create new users and update information for existing users. Review permissions levels for user groups and permissions for each group. Report Generation – Retrieve, view, save and print process reports and charts. Calibration – Learn procedures required to comply with requirements for periodic calibration. Drum Change – Learn and execute safe and proper procedures required to change EtO drums without unwanted discharge of / or exposure to EtO.